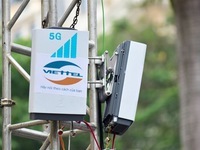 VTV.vn - Military-run telecommunications group Viettel has installed the first base transceiver station (BTS) of fifth generation (5G) in Vietnam on the roof of the Viettel Centre in Hoan Kiem District. VTV.vn - The 7th session of the Vietnam-Netherlands Intergovernmental Committee on Climate Change Adaptation and Water Management opened in Hanoi this morning. 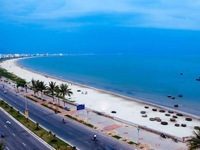 VTV.vn - In order to promote future IT development in Da Nang, the city's People's Committee submitted a dossier to the Prime Minister. 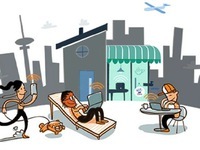 The dossier requests the establishment of a centralized Information Technology Park. 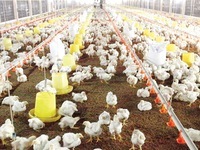 VTV.vn - 60-70% of the livestock industry in Vietnam are households and small businesses. 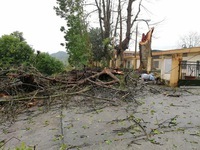 VTV.vn - Heavy rains accompanied by cyclones in the Northern provinces of Bắc Kạn and Lai Châu have swept away nearly 200 hundred buildings. 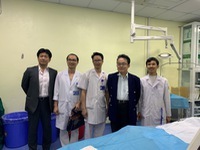 VTV.vn - A delegation of Japanese professors and doctors visited a series of Vietnamese hospitals in the framework of the 2019 Hanoi-Japan Cherry Blossom Festival. 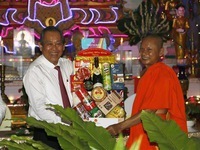 VTV.vn - The Mekong Delta provinces are experiencing the peak of the dry season. 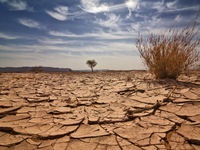 Apart from drought, saline intrusion is also taking place. 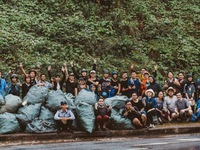 VTV.vn - Thanks to a Facebook trend called the “Challenge for Change”, more and more young people around the world have been working together to protect the environment. 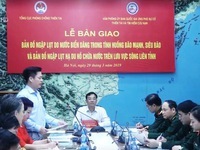 VTV.vn - Two maps that assist the response to natural disasters have been announced by Ministry of Agriculture and Rural Development's General Department of Natural Disaster Prevention. 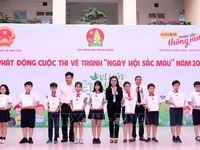 VTV.vn - A ceremony was held at Trung Yen Primary School in Hanoi on April 2, to launch a painting contest for children, themed ‘For a green Vietnam’. VTV.vn - A first-ever ceremony commemorating the death anniversary of Hung Kings, the legendary founders of Vietnam, took place at the headquarters of the General Association of Vietnamese in Laos on April 6. 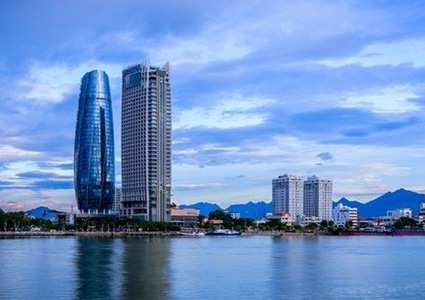 VTV.vn - The Vietnam Social Security (VSS) targets 32.3 percent of the workforce nationwide joining social insurance in 2019, 33.9 percent in 2020, and 35.6 percent in 2021. 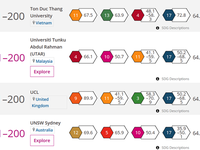 VTV.vn - Ton Duc Thang University in Ho Chi Minh City has become the only Vietnamese educational institution named in the Times Higher Education University Impact Rankings 2019. 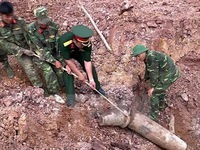 VTV.vn - A wartime bomb, weighing 240 kg, was safely transported out of the Cua Tung secondary school in Vinh Linh district, the central province of Quang Tri, on April 7. VTV.vn - April 4th is International Day for Mine Awareness and Assistance in Mine Action.